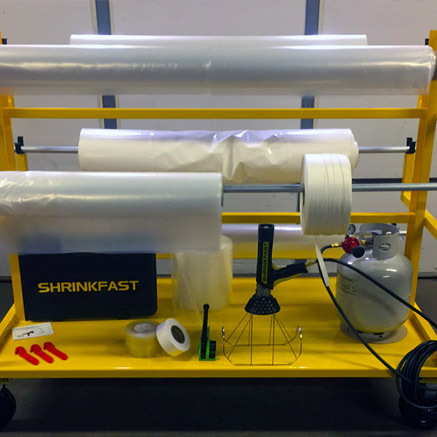 Portable, Propane-Powered Shrink Wrap Systems - Use Indoors or Outside. 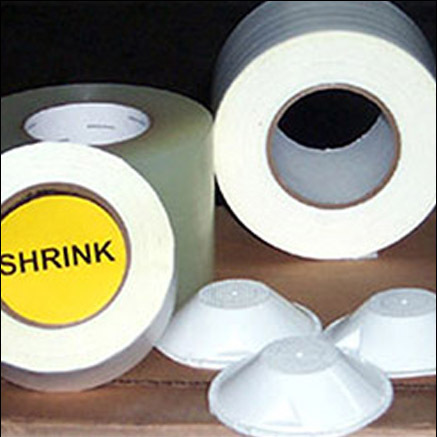 Easily Shrinks Film or Pallet Bags on Skids, Machinery, Equipment, Boats, and Scaffolding. 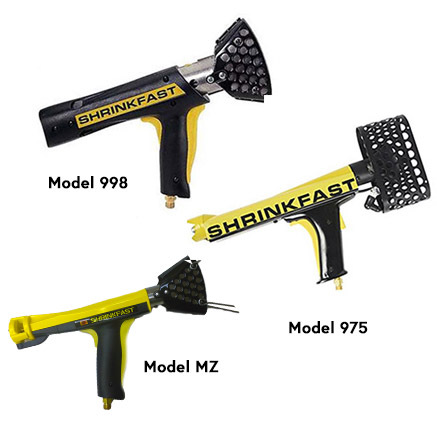 Features: Warm To Touch Heat Nozzle, Double Trigger (Safety/Gas), and Automatic Shutoff. 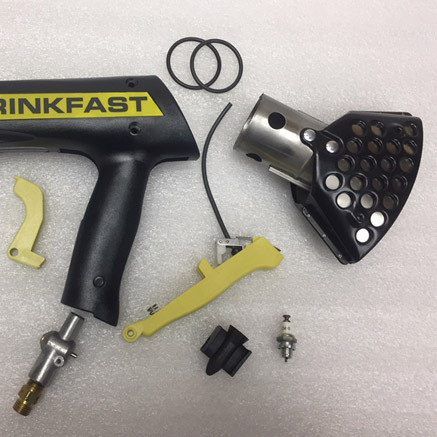 Complete Kit Includes: Heat Gun, 25' Rubber Hose, Gas Regulator, UL Guard, Wrench, Operator's Manual, and Plastic Storage/Carrying Case. Covers An 18" Heat Pattern In A Single Pass. 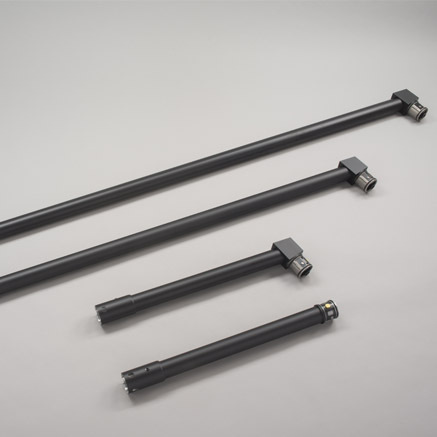 2', 4', and 6' Integrated Extensions For The Hard-To-Reach Areas. 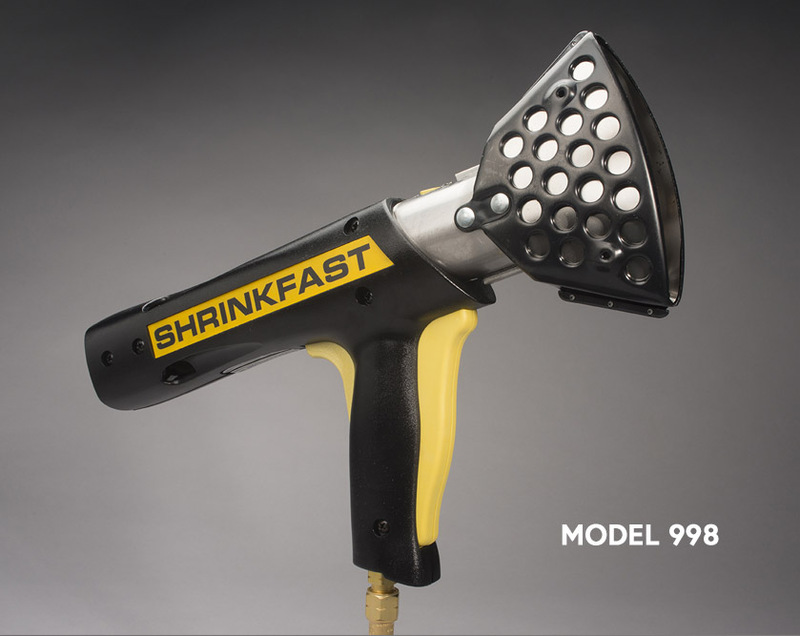 Note: Only For SHRINKFAST Model 998 System Use. 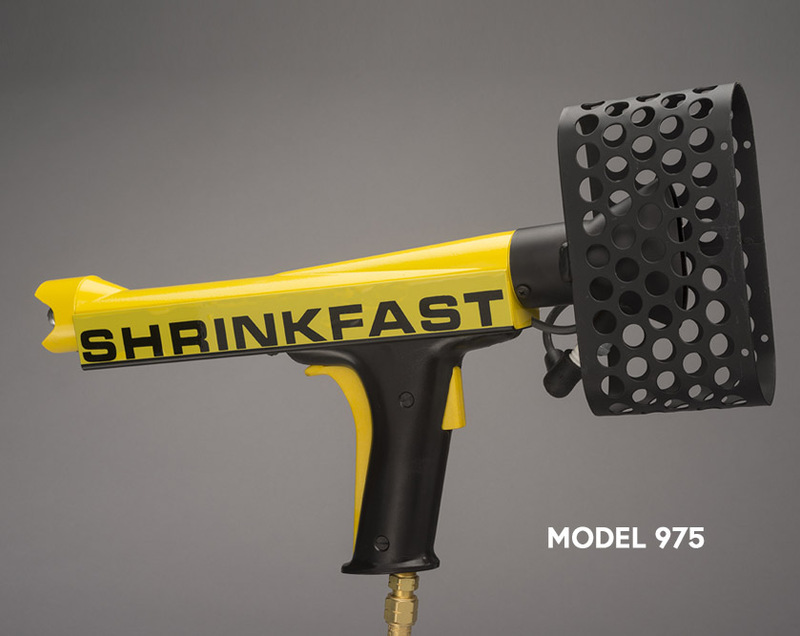 Covers Up To 14" In A Single Pass. Durable Aluminum Body For Harsh Environments. 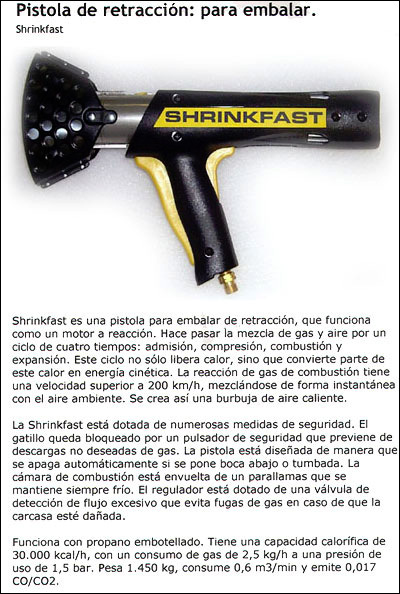 Original SHRINKFAST Model - 1975. 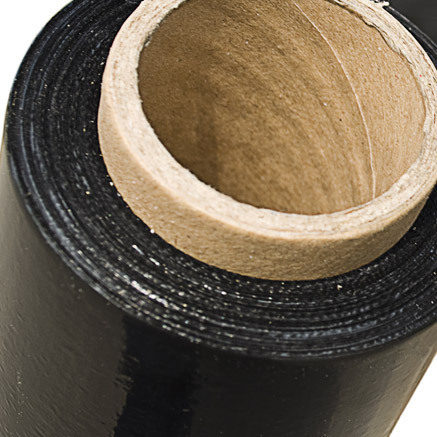 Covers Up To 10" In A Single Pass. 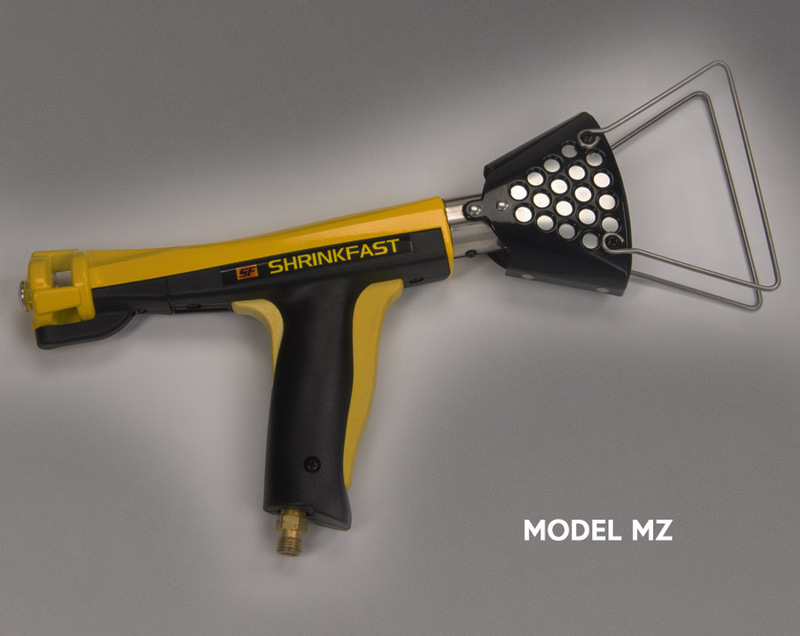 A Safe Heat Tool For Home Use And Low-Volume Shrink Packaging Applications. 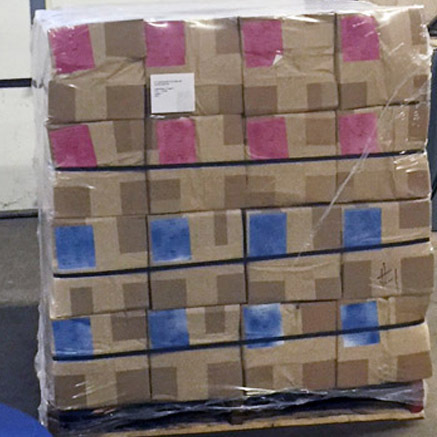 DIY And Business Owners Can Now Protect Their Assets Stored Outdoors And Also Occasional Pallet Shipments.